Edina Nagy is the owner of Edina's Cleaning Service, a professional local agency supporting families and businesses on the Costa del Sol. SPECIAL HOLIDAY OFFER: -20% off of every cleaning until Christmas! She started her operations in England in 2012 and offers a comprehensive and professional cleaning service anywhere from Fuengirola to Estepona. 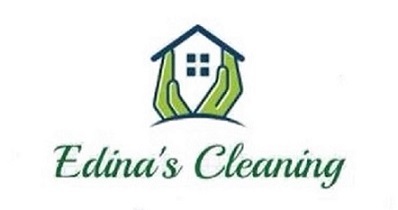 Edina's Cleaning offers basic service cleaning for as little as €10 per hour or deep cleaning for €12 per hour. She also will consider any special requests you have (ironing, etc.) for an additional charge. The deep cleaning service is perfect if you're moving into a new property or leaving an old one. It includes cleaning of cabinets (inside, outside as well), windows, oven cleaning, etc. That's on top of the standard hoovering, moping, and dusting. Edina can also coordinate regular laundry services as well. Edina's Cleaning supports clients who live on the coast as well as owners with holiday rentals that need to be presentable before every new guest. Her team members are professional with years of experience. Appointments are needed a couple of days advance to secure availability. If you have any questions or requests contact Edina at her details, below and she'll find a solution for you. Her motto is: "Tidiness is Happiness!" Post your own submission to the Marbella Community! It's easy to do. How? Simply click here to return to JOBS: Tradesmen.